You are here: Home » News » News & Updates » Engineering: Where Are All The Women? Engineering: Where Are All The Women? It&apos;s hardly a secret that the UK will be facing an &apos;engineering crisis&apos;, or at least a chronic shortage of people in engineering careers over the next few years. With most British engineers nearing retirement age (as indicated by average statistics), the call has never been stronger for youngsters to step up, and particular efforts are being directed at the female audience, who have always been historically underrepresented. Are Women Uninterested in Engineering? A lack of women in the engineering industry is certainly nothing new, as this bias has been evident for many years. Lots of reasons have been given for this, including one recent statement from a University of Glasgow professional who claimed that women simply didn&apos;t &apos;enjoy&apos; engineering. However, according to an article on The Telegraph, penned by no less than Sir James Dyson, this sweeping generalisation is precisely why we now have a shortage of female engineers. Young females are brought up in a world where engineering is &apos;for boys&apos;, and so they never seriously consider it as a viable career path. However, Dyson himself is now working hard to combat this long-standing situation. James Dyson&apos;s own labs contain more than three times the average quantity of female engineers, and he attributes this success to a focus on &apos;high tech and exciting&apos; facilities. Dyson uses the example of the invention of the airbag to illustrate the need for women in engineering (the all-male design team disastrously planned for only masculine dimensions when producing the safety measure). Dyson and others like him hold the view that the &apos;true&apos; picture of modern engineering needs to be presented to girls at a very young age; probably between the years of 7 and 9. In this way, misconceptions surrounding engineering, such as the stereotypical image of an engineer wearing dirty overalls, can be corrected early in life, but the only way this is going to happen is if the curriculum encourages such a shift in attitude. Therefore, the current emphasis on &apos;PVA glue and wood&apos; needs to be altered in favour of real, applicable engineering skills. Here at European Springs and Pressings Ltd, products like our disc springs are widely used in the engineering industry, and we firmly believe that an aptitude for engineering is gender irrelevant. 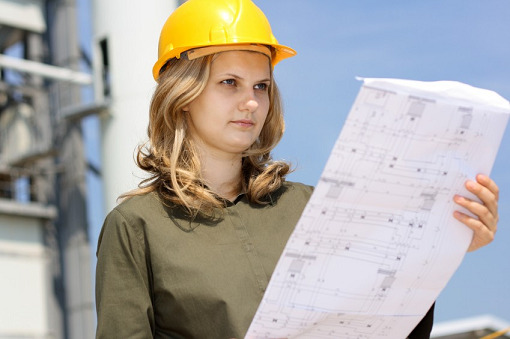 History has already shown us that women have played a vital role in engineering over the years, and the future of engineering in the UK would certainly look far brighter with more female talent onboard. Regardless, we feel very fortunate to possess a high number of skilled engineers in our own business, so whatever your need for springs and pressings might be, we can meet it right now. Contact us now by calling +44 (0) 208 663 1800 or emailing info.bec@europeansprings.com and we&apos;ll be pleased to help.